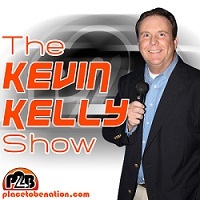 On Episode 19 of The Kevin Kelly Show, Kevin is joined by the Icon, Matt Hardy! Matt discusses his early days in the business, his thoughts on the state of TNA and ROH and how they could work together towards success, what the best year of his career was, life as a married man, his thoughts on Adam Cole, the chances of him returning to WWE and much more, including a classic Hardy road story. Kevin & JR then look at the fallout from Night of Champions 2014 and the future of WWE before running through the week’s trending topics. The show wraps with a spirited game of This or That in which Kevin builds his own wrestling promotion through a series of choices, Kevin ranking the Top Five most influential tag teams in wrestling history and a vintage KK bar fight story!